So, what would Thanksgiving Weekend be without multiple family dinners. Compound that with not seeing most of these family members in many years. Let’s just say the Sisterhood and I didn’t go hungry. I took a step back in time, seeing the places I used to hang out as a child and teenager. I even remembered how to get to my old house in a midnight drive (thanks to my cousin). The squees that began the journey continued as the floodgates of my memories opened with each familiar sight and sound. And taste. I did mentioned the good eats, yes? Whether we dined at an awesome restaurant or tucked into a home cooked meal, I felt love. Honestly, I can’t really get too much into it because a boatload of emotions start welling up again at the thought. It’s safe to say I had a wonderful time with my loved ones. I forgot that my quirks, snarkasm, and overall laughter about everything in life, good and bad, are definitely hereditary. We laughed until we cried. We ate and laughed some more. I’m so blessed. I also had an opportunity to visit two castles. One that is, and one that technically isn’t. 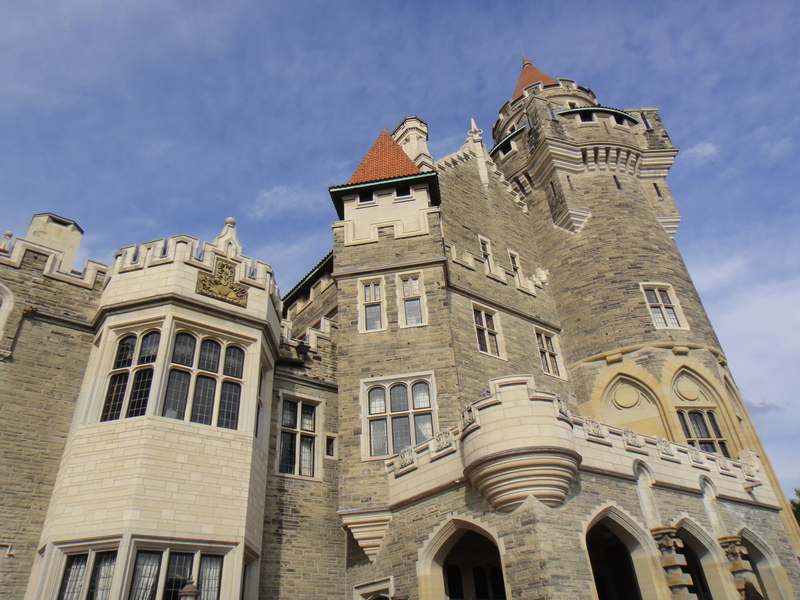 The former, Casa Loma, was rich in history and even had secret passageways. Who doesn’t love a mini-adventure after a tryptophan-laden meal? You know how hard it was to take a quasi-decent picture of the castle without a tourist photobombing? Oh, and thanks to the Sisterhood’s Bestie for teaching me how to use the HDR feature on my iPhone to get around lighting limitations. 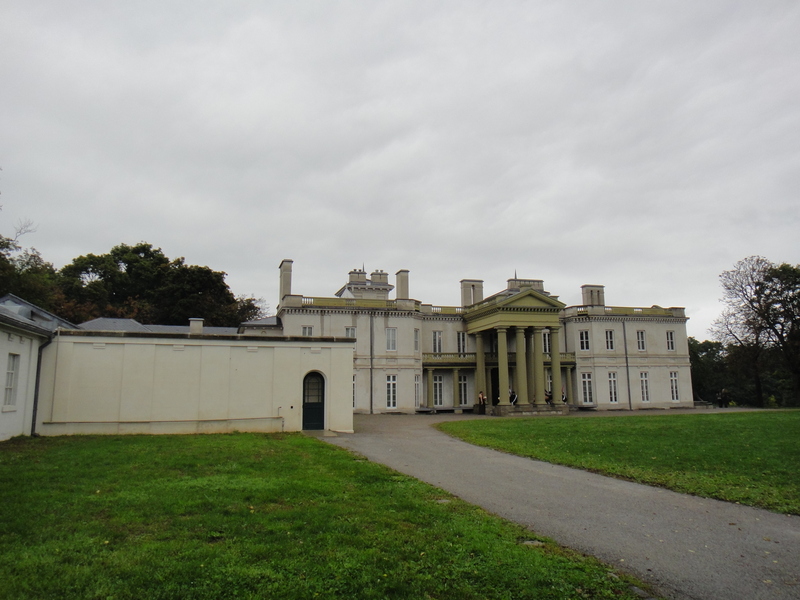 We also visited the castle that wasn’t, Dundurn Castle. The largest building in Canada at the time of its construction, people never saw anything like it, called it a castle and the name stuck. It was a dreary day, but the rain stopped long enough for us to explore the exterior. There were two separate wedding parties that commandeered various spots on the property, so pictures were also a challenge. The Sisterhood and I agreed that there was such a Downton Abbey vibe to the place. I actually visited Dundurn Castle many moons ago. I was in my fives and sixes, methinks. A school field trip. I loved field trips. Not to worry. I will end this posted trio of new cherished memories with my takeaway as a writer. Stay tuned. This entry was posted in Round of Words in 80 Days and tagged #ROW80, Casa Loma, Downton Abbey, Dundurn Castle, family dinners, memories, Thanksgiving Weekend. Bookmark the permalink.